In 2006, PORTCO received initial CARF accreditation, and continues in good standing. This is a nationally recognized accreditation that promotes quality, value and optimal outcomes of services centering on enhancing the lives of persons served. CARF reviews and grants accreditation services nationally and internationally on request of a facility or program. Their standards are rigorous, so those services that meet them are among the best available. When PORTCO is CARF-accredited, it means PORTCO has passed an in-depth review of its services. It is your assurance that PORTCO meets rigorous CARF guidelines for service and quality — a qualified endorsement that PORTCO conforms to nationally and internationally recognized service standards and is focused on delivering the most favorable results for you. For information regarding CARF survey results and the survey report, the quality and effectiveness of surveys, descriptions of services and persons served, performance outcomes of the services, and consumer and customer satisfaction with services. Please contact PORTCO’s Senior Executive Vice-President of Programs, Belinda Daugherty. PORTCO, Inc was awarded a Department of Rehabilitative Services (DRS) Vendorship and in 2002 a Medicaid Waiver Vendorship to provide employment services to Medicaid Waiver recipients. PORTCO began accepting Medicaid Waiver consumers in early 2003. These employees work on janitorial mobile crews at the Portsmouth Naval Medical Center, Portsmouth Federal Building, Owen B Pickett Customhouse and NEXCOM Headquarters. These employees also work on packaging items in the Warehouse and complete janitorial and lawn maintenance duties of the administrative building. 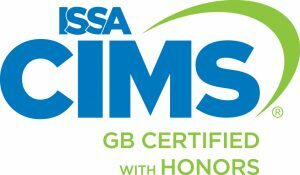 We are pleased to announce that PORTCO has been awarded the ISSA Cleaning Industry Management Standard (CIMS) with honors and CIMS-Green Building (CIMS-GB) certification. Both of these certifications are for operations nationally throughout the US. 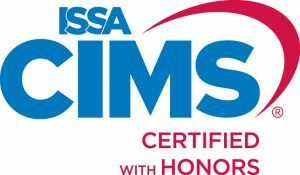 ISSA has created the CIMS and CIMS-GB certification as the most recognizable industry stamp-of-approval to identify cleaning service providers who are true companies of excellence and committed to customer satisfaction. CIMS is also the first consensus based management standard that outlines the primary characteristics of a successful, quality cleaning organization. The Green Building certification of CIMS (CIMS-GB) focuses on the delivery of an environmentally-preferable and sustainable cleaning service. This certification complies with many criteria of the LEED for Existing Buildings: Operations and Maintenance (LEED-EBOM) Green Building Rating System, while greening operations overall. We are excited about this certification and the value it brings to you. As one of only a select group of CIMS certified organizations worldwide, we believe it sets us apart in our commitment to: quality and service excellence, efficient and sustainable operations and cost effective solutions.